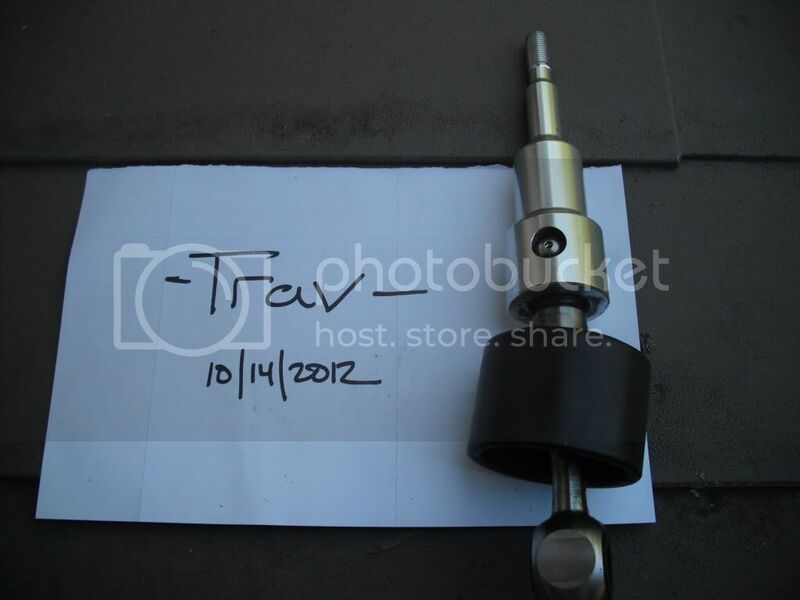 Im selling this short shifter that came with my 2004 Z when I bought it. I have no need for it so I downgraded to the stock shifter. It was working just fine when it was installed, just trying to put a few bucks in my pocket. -Missing shifter plate NOTE: If you are willing to trade your OEM plate I can give you the one thats made for this shifter. Im currently using the plate since I dont have the oem one (wasnt included with vehicle). I believe its an approx 1/2" thick piece, not the thin guide piece. Correct me if Im wrong, I've never seen it before! Last edited by -Trav-; 10-26-2012 at 08:47 AM.